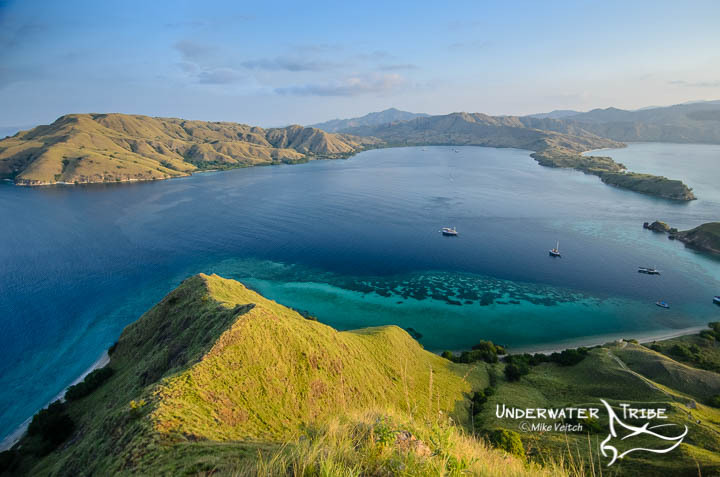 I am just back from a great voyage to the Komodo National Park! It was my first trip there in 2015 but it won’t be long until my second, heading there again in two weeks time. The diving was amazing as always and I will be posting a short video of a snorkel we had with around 30 mantas at Manta Alley! Here is a teaser image of the scenic lookout on top of Gili Lawa Darat to keep you entertained until I can upload the mantas. 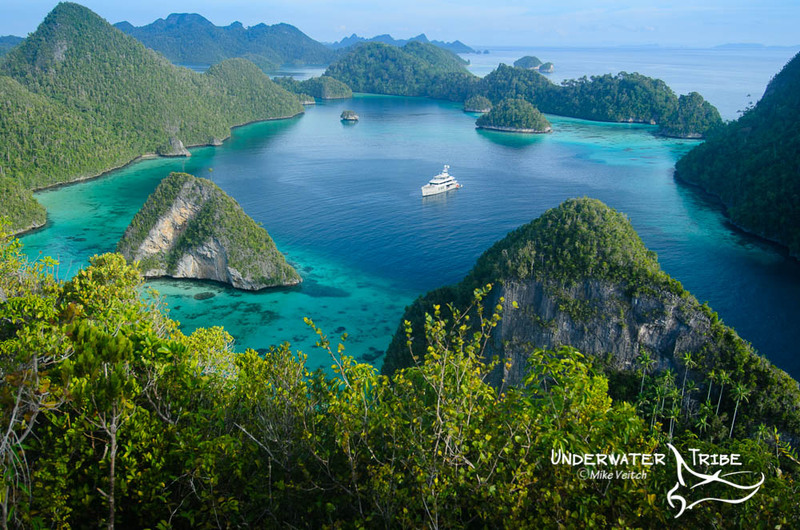 The signature shot of Raja Ampat, Indonesia is usually one featuring the panorama overlooking the incredible lagoon of Wayag, one of the northernmost island groups in Raja. To get this photo involves a short walk/climb to the top of one of the highest peaks in the island group and the hike itself is no easy feat! Taking about 30 minutes from the beach to the top, the hike starts with a fairly easy jungle covered slope that evolves into a steep climb that involves having to pull oneself up a time or two. However, the view from the top of the karst mountain is well worth the effort as it provides a brilliant view in all directions of the beauty of Raja Ampat. With dozens of small rock islands surrounded by incredible blue water, the lagoon is the epitome of what Raja Ampat offers. For photographers, the colours are brought out best in the late afternoon or early morning with the soft available light working wonders. This photo was taken in the late afternoon and looks down to the SE toward the south lagoon mooring and a Super Yacht that is anchored in the area.